Thursday 28th July 2016 – 12.40pm – Murray MacGregor. An elderly woman has been taken to hospital with relatively minor injuries after a collision with an HGV that had the potential to be extremely serious, or worse. It happened at about 10.45am on Worcester Road in Malvern outside the Francis of Malvern shop. A rapid response vehicle, an ambulance, a paramedic area support officer and the Midlands Air Ambulance from Strensham were sent to the scene. A West Midlands Ambulance Service spokesman said: “The initial 999 call suggested the woman was unconscious and potentially in cardiac arrest. Thankfully, as further details were taken from the caller, the woman started to move and was clearly conscious. “She was placed on the back of the ambulance so that she could be assessed by ambulance staff. She had a bump to the back of her head and a small laceration but otherwise appeared unhurt. The staff were concerned that she might have concussion so, as a precaution, she was taken by land ambulance to Worcestershire Royal Hospital. “The lorry driver was unhurt but he was understandably shaken by what had happened. Wednesday 27th July 2016 – 9am – Jamie Arrowsmith. It was a day to forget for motorists on the M6 yesterday as the motorway was closed for a second time last night (Tuesday) following a collision between a lorry and a pedestrian. Following the early morning lorry fire which caused disruption near to junction 7 on the northbound carriageway, West Midlands Ambulance Service was called to junction 9, again on the northbound carriageway, just after 10.30pm and sent an ambulance, a paramedic area support officer and a MERIT trauma doctor to the scene. 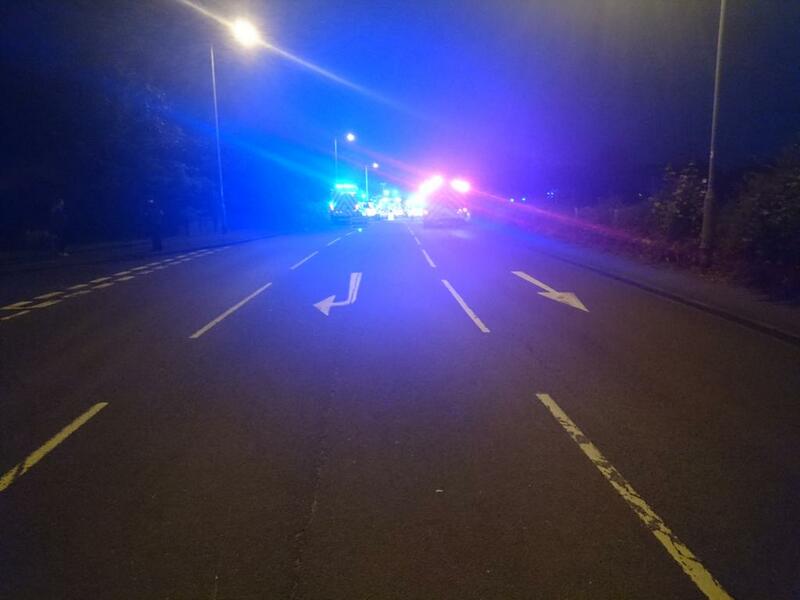 A West Midlands Ambulance Service spokesman said: “On arrival, crews were told that the collision happened at low speed, leaving a male pedestrian injured. “Ambulance crews assessed the man and treated him for a minor head injury, back and chest pain. He was then transported to Walsall Manor Hospital for further treatment. Wednesday 27th July 2016 – 9.00am – Claire Brown. A GP organisation with practices across Birmingham and Sandwell have taken delivery of their first two pieces of kit which can help patients in life and death situations. Modality Partnership runs 19 GP practices across Birmingham and Sandwell delivering primary and specialist care. Earlier this month, West Midlands Ambulance Service donated defibrillators to their Smethwick and Hollybush medical centres; devices used to help restart the heart of someone in cardiac arrest. In a bid to further support the Trust’s initiative to increase the number of defibrillators in community settings, Modality plan to install defibrillators at each of their remaining sites. Andy Jeynes, Community Response Manager for Birmingham and the Black Country, said: “It’s common sense that a doctors’ surgery has a defibrillator as it’s a place where almost 200 people a day who are already feeling unwell visit each day. The defibrillator is an easy piece of equipment to use and even tells you what to do which means it’s not just a device that doctors can operate, anyone can use a defibrillator to help save the life of a person in cardiac arrest. Pictured (l to r) Andy Jeynes, Dr Mina Gupta, Dee Smart Practice Manager and Les Young Nurse Practitioner. Please credit Modality Partnership if you use the photograph. Tuesday 26th July 2016 – 8.51am – Murray MacGregor. A pedestrian has been anaesthetised at the scene of collision with a car after he suffered very serious injuries. It happened outside Kwik-fit in Washwood Heath Road in the Ward End area of Birmingham at just after 7.00pm last night (Monday). An ambulance was on scene within six minutes of the first of several 999 calls. It was backed up by a paramedic area support officer and the MERIT trauma doctor. A West Midlands Ambulance Service spokesman said: “On arrival, crews found a man who had suffered multiple injuries. The front of the car was badly damaged. “Ambulance staff worked with the doctor to stabilise the man’s condition before he was anaesthetised at the scene. He was then taken on blue lights to the major trauma centre at the Queen Elizabeth Hospital Birmingham where medics were on standby to receive him. Monday 25th July 2016 – 5.45pm – Murray MacGregor. 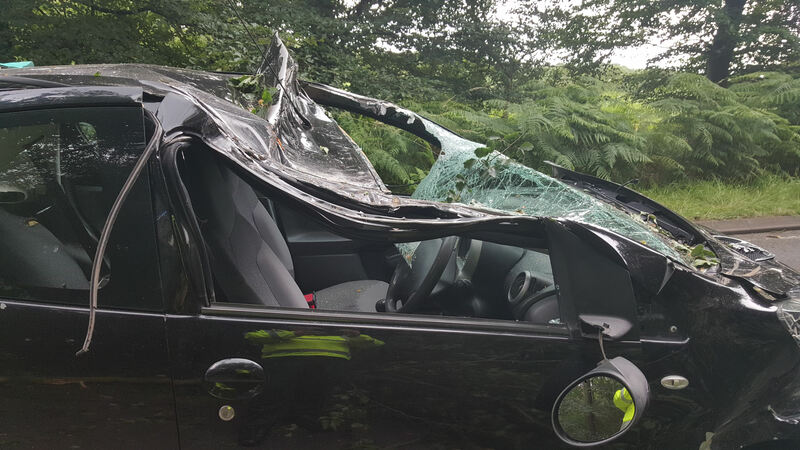 That’s the view of the ambulance staff who attended a crash which saw a large branch fall off a tree and go straight through the windscreen of a passing car. The extraordinary incident happened on Rugeley Road on Cannock Chase close to the Beau Desert Golf Club at about 2.30pm this afternoon, Monday. A West Midlands Ambulance Service spokesman said: “It appears this was a case of dreadful timing. A large branch has sheered off a tree just as a car was passing. “Part of the branch has gone straight through the windscreen of the car narrowly missing the two front seat occupants and struck an 8 year old girl in the back. 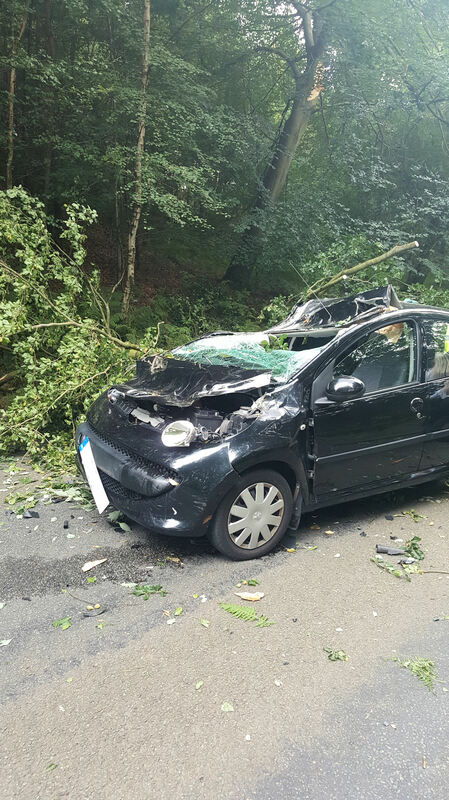 “Other road users were quickly on the scene and pulled the branch off the car which has suffered considerable damage. “The little girl had suffered a nasty puncture wound to her cheek and a broken arm. She was assessed at the scene by ambulance staff before being airlifted to the paediatric major trauma centre at Birmingham Children’s Hospital. The man and woman in the front of the car were largely unscathed by the incident but were understandably very shaken by what happened. Monday 25th July 2016 – 3.20pm – Murray MacGregor. A narrowboat that sank as it went through a canal lock has left one man dead. The incident happened at Lock 5 on the Droitwich Junction Canal, off the Worcester and Birmingham Canal. The alarm was raised shortly after 11.20am this morning (Monday). An ambulance, a rapid response vehicle, a paramedic area support officer, the Midlands Air Ambulance from Cosford with a doctor on board and the Hazardous Area Response Team were sent to the scene. A West Midlands Ambulance Service spokesman said: “The lock was drained and firefighters went on board the narrowboat. They brought the man out and advanced life support was carried out by ambulance staff, but sadly it was not possible to save him and he was confirmed dead at the scene. Monday 25th July 2016 – 10.05am – Murray MacGregor. One man’s died and another has suffered critical injuries after a two car collision. It happened on the A53 at Baldwin’s Gate, to the west of Newcastle Under Lyme at about 9.50pm on Sunday night. Three ambulances, two BASICS Emergency doctors and a paramedic area support officer were sent to the scene. A West Midlands Ambulance Service spokesman said: “On arrival crews found two cars that had suffered considerable damage. Police officers were already there. “There were three men in one car and a single man in the other car. “Sadly, one man from the first car was confirmed dead at the scene. A second had suffered multiple injuries and was anaesthetised at the scene before being taken to the major trauma centre at Royal Stoke University Hospital. He was in a critical condition on arrival. The third man had facial injuries. They were taken to the same hospital. Monday 25th July 2016 – 9.00am – Claire Brown. Residents in a Solihull village can head to the local library for a good read and life-saving care thanks to West Midlands Ambulance Service. Last month, the Trust donated a community public access defibrillator to Meriden Library after identifying a suitable location with Solihull Council to further increase the number of life-saving devices in public places in the borough. The defibrillator, which can help restart the heart of someone in cardiac arrest, isn’t just there for the benefit of the library, it’s available for anyone in the local community in the event of such a medical emergency. This is the first community defibrillator in Meriden to be publicly accessible round-the-clock and is housed in a cabinet kindly donated by a local resident. Community First Responders from Fastaid Solihull trained locals in basic first aid and how to use the defibrillator which was officially handed over to the library on the 22nd June. Andy Jeynes, the Trust’s Community Response Manager for Birmingham and Solihull, said: “Having a defibrillator in the village is a big thing for locals in Meriden and whilst the library isn’t necessarily an obvious place to come to for medical help, it’s in the heart of the community and easily accessible. Friday 22nd July 2016 – 11.30am – Claire Brown. A road traffic collision in Staffordshire in the early hours has left a woman with a serious chest injury. West Midlands Ambulance Service received a 999 call to the junction of the A515 and B5324 in Newborough shortly before 1.30am (Friday). Two ambulances, a paramedic area support officer, a community paramedic and a MERIT trauma doctor were sent. A West Midlands Ambulance Service spokeswoman said: “When ambulance staff arrived they found a car which had been involved in a collision; both the driver and passenger had managed to get out of the car prior to their arrival. Friday 22nd July 2016 – 8.15am – Claire Brown. A health clinic in Solihull is the latest location to house a defibrillator to help save lives. Brandwood Clinic in Monkspath is a European centre for scalp micropigmentation and health checks and has recently installed a defibrillator to provide life-saving care to customers and their local community in an emergency. Brandwood Clinic’s co-owner David Andrews said: “It has become widely known that there was a requirement for a publicly accessible defibrillator and since we’re open six-days-a-week we’re happy to be able to meet that need with the assistance of West Midlands Ambulance Service. Pictured (left to right) Cllr Ken Hawkins, Cllr Alexander Insley, Andy Jeynes, receptionist Katie Rooker and Director David Andrews. Please credit Brandwood Clinic if you use the photograph. Thursday 21st July 2016 – 4.30pm – Jamie Arrowsmith. There was a hair-raising experience for two members of West Midlands Ambulance Service staff on Wednesday night as they braved the shave for Alex’s Journey. Paramedic Area Support Officer Ian Inglesant and Ambulance Fleet Assistant Paul Rowlands were joined by Rich Prior from Warwickshire Police’s OPU to have their hair shaved off at Warwick Hub, all in aid of a very worthy cause. Nine-year-old Alexander Goodwin was diagnosed with Ewing Sarcoma last month and a fund-raising drive is well underway in order to send him on a dream holiday to Disney World. The efforts of Ian, Paul and Rich have already put Alex one step closer having raised £1200 so far, with the money still rolling in. Speaking about his new look, Ian said: “It is a fantastic cause to raise money for and if we can help send Alex to Disney World then it will be worth losing every lock of hair. “I’m actually quite surprised that it doesn’t look too bad to be honest. Paul added: “We were more than happy to do this for Alex to try and help raise some money for him. If you would like to donate, or find out more about Alex’s Journey, please visit https://crowdfunding.justgiving.com/AlexandersJourney?utm_id=62. You can also follow Alex’s journey by visiting www.alexsjourney.co.uk or following him on twitter @alexs_journey. Top picture (l-r) – Rich Prior, Ian Inglesant and Paul Rowlands. 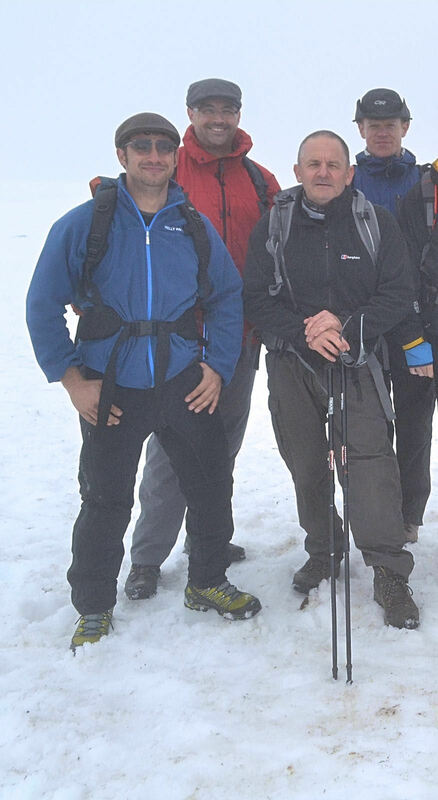 Bottom picture (l-r) – Paul Rowlands, Ian Inglesant and Rich Prior. Wednesday 20th July 2016 – 3.05pm – Murray MacGregor. A woman has been airlifted to a major trauma centre after the car she was in crossed the central reservation of the M6 motorway. The crash happened between junction 1 for Rugby and junction 2 for Coventry around 11.35am this morning (Wednesday). An ambulance that was transporting a patient to hospital came across the crash shortly after it happened and stopped to provide almost immediate aid. An off duty student paramedic also stopped to assist. In addition, two further ambulances, a paramedic area support officer and the Warwickshire and Northamptonshire Air Ambulance were sent to the scene. “A woman in the car had suffered multiple serious injuries. She was anaesthetised at the scene before being airlifted to the major trauma centre at University Hospital Coventry & Warwickshire. Wednesday 20th July 2016 – 11.30am – Murray MacGregor. 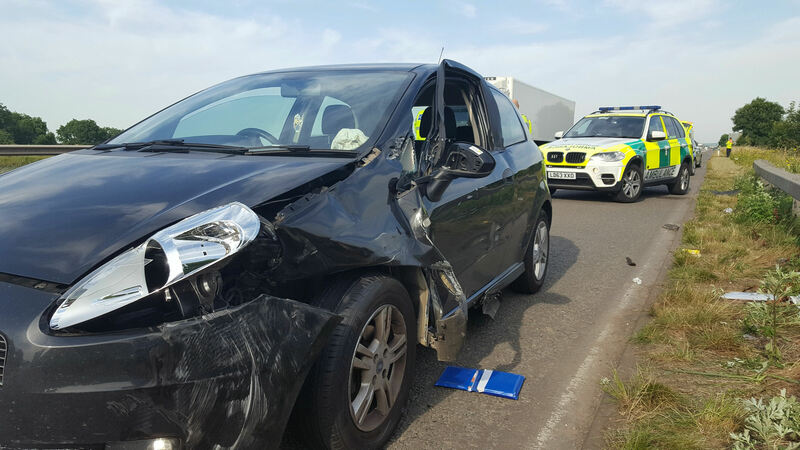 A man has suffered a very serious arm injury after a collision between a car and a lorry on a busy Midlands motorway. The crash happened on the southbound M6 between junction 2 at Coventry and junction 1 at Rugby. Two ambulances and a paramedic officer were sent to the scene after a 999 call at 7.30am this morning (Wednesday). A West Midlands Ambulance Service spokesman said: “The 46 year old was sitting in the front passenger seat when the collision occurred. “The crash caused damage to the front nearside of the car. The man’s left arm suffered multiple injuries. It was assessed and treated at the scene before he was taken on blue lights to the major trauma centre at University Hospital Coventry and Warwickshire. Wednesday 20th July 2016 – 9.10am – Murray MacGregor. One man has died and another has been taken to a major trauma centre after a two vehicle crash. It happened on the B4176 between Upper Ludstone and Upper Aston in Shropshire at just after 10.00pm on Tuesday night. Two ambulances, a paramedic area support officer and the MERIT trauma, doctor were sent to the scene. A West Midlands Ambulance Service spokesman said: “The middle aged man from one vehicle was rapidly extricated, but sadly despite advanced life support, it was not possible to save him and he was confirmed dead at the scene. Wednesday 20th July 2016 – 8.28am – Murray MacGregor. It happened in Glenavon Road in the Kings Heath area of Birmingham shortly after 8.00pm last night. A West Midlands Ambulance Service spokesman said: “At the scene, ambulance staff were told that the bike, which had two people on it, had crashed. “Crews carried out advanced life support on the man who was riding the bike, but sadly, despite their best efforts it was not possible to save him and he was confirmed dead at the scene. Tuesday 19th July 2016 – 6.50pm – Murray MacGregor. Two people have been hurt after a van carrying six people collided with an HGV on a major Midlands motorway. The crash happened on the southbound M6 between junctions 14 and 13. Initial reports suggested that injuries could be serious. Three ambulances, a paramedic area support officer, an Emergency Doctor from the North Staffordshire BASICS scheme and the Midlands Air Ambulance from Cosford were sent to the scene. A West Midlands Ambulance Service spokesman said: “When crews arrived, they found the front passenger side door of the van was hanging off and the vehicle had considerable front nearside damage. “There were a total of six people in the van – four men and two women. “The 28 year old man sitting in the front passenger seat was complaining of lower limb pain and abdominal pain; he also had some breathing difficulties. He was able to climb out himself but was immobilised as a precaution. “He was taken to Royal Stoke University Hospital by ambulance with the doctor travelling with him. “A woman in her 20s who was in the middle of the rear seat had suffered facial injuries and was taken to the same hospital, also by ambulance. Tuesday 19th July 2016 – 10.00am – Murray MacGregor. Most people can only imagine how hard it is to complete the Three Peaks Challenge; climbing Ben Nevis, Scafell Pike and Snowdon back to back without stopping, but when you plan to cycle between each of the mountains as well, then that really is a real ultra-challenge. But for one member of the Trust’s Hazardous Area Response Team (HART), that is exactly what he’s planning. Jethro Bartle, who lives in Solihull will be joined by two current and one recently retired member of the HART team in support roles. 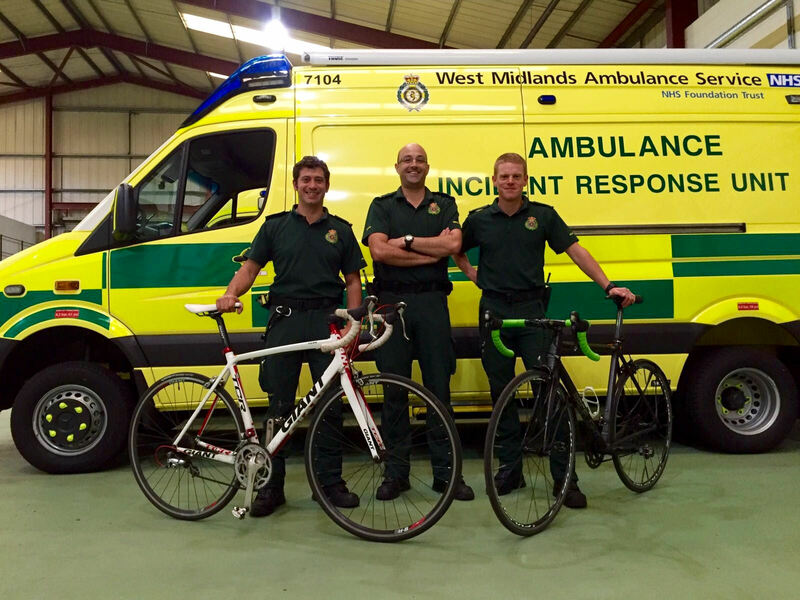 Fellow Paramedics Si Greenfield, Andy Wright and Andy Gelesthorpe will be walking each peak with Jethro and then manning a support vehicle during the cycle sections of the challenge. In total there will be about 29 miles of climbing and almost 500 miles of cycling; non-stop! Day to day Jethro works for the HART Team which responds to incidents across the region. The team provides medical care to patients in the hazardous environments such as collapsed buildings, at height or in confined space. They also provide water rescue and flooding as well as chemical and biological incidents. They played a leading role in the tragic events at the recycling plant in Nechells last week. The Three Peaks event begins on Monday 25th July with the ‘simple’ task of a climb up the 4,409 foot Ben Nevis. After that it will be 290 miles of pedalling to the foot of the highest point in England, the 3,210 foot Scafell Pike. After that, there is a further 195 miles of cycling before a final push in the challenge, climbing the 3,560 foot Snowdon, the highest mountain in Wales. For most of us, even climbing one of those mountains would be enough; Jethro is planning to do all three and complete the cycling in just three days without stopping. The record for the challenge is 47 hours 47 minutes by former World Ironman Champion Chrissie Wellington who described it as: ‘the hardest thing I have ever undertaken and accomplished’. Left to right – Andrew Wright, Simon Greenfield and Jethro Bartle. Left to right – Andrew Wright, Simon Greenfield, Andy Gelesthorpe and Jethro Bartle. 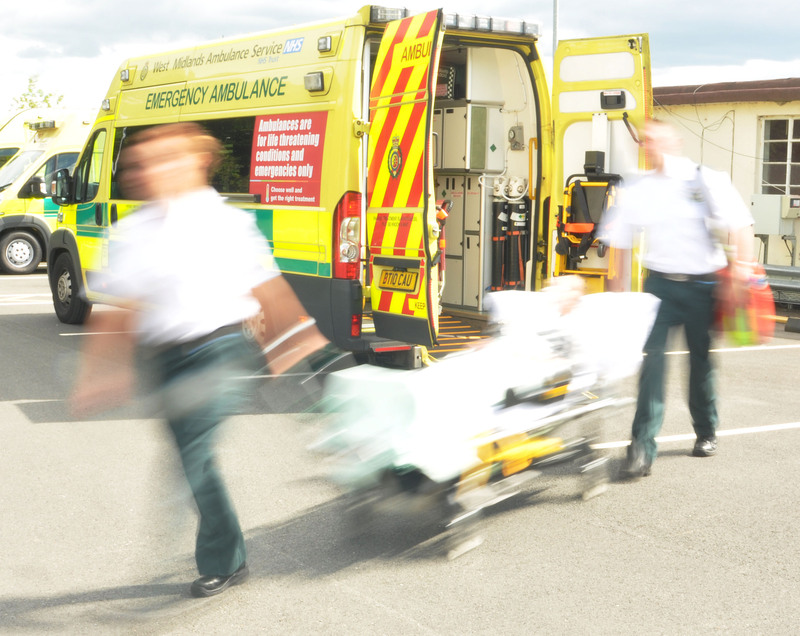 With the long wait for summer to arrive finally over, West Midlands Ambulance Service (WMAS) is urging the public to enjoy it safely as temperatures begin to rise. The ambulance service is bracing itself for a challenging week with temperatures set to hit 30 degrees in parts of the region tomorrow and remaining high throughout the evenings. Having waited this long to see the sunshine WMAS wants to make sure everyone enjoys the warm weather safely, taking care of themselves and others. It is important to drink plenty of water to keep yourself hydrated, make sure you protect yourself with suncream and do not spend too long in the sun, particularly between 11am and 3pm when it is at its warmest. Also, you should always dress appropriately for the conditions, wearing a hat to protect your head from burning. If you have children, encourage them to play in the shade whilst babies under the age of six months should be kept out of direct sunlight. Any exposed skin should have sunscreen applied, including to their face and tops of feet. A West Midlands Ambulance Service spokesman said: “The hot weather can make breathing difficult for healthy individuals, so for those with pre-existing breathing problems it can obviously be a difficult time. “Those who suffer with emphysema, asthma and long term breathing problems should take extra care over the next few days, remaining indoors as much as possible. “If you have elderly relatives or neighbours, please take a few minutes to check that they are ok and have everything they need in order to look after themselves. Monday 18th July 2016 – 12.25pm – Jamie Arrowsmith. A pedestrian has been seriously injured following a collision with a car outside West Bromwich Albion Football Club this morning. West Midlands Ambulance Service was called to Halfords Lane, West Bromwich just after 7.25am and sent two ambulances and a paramedic officer to the scene. 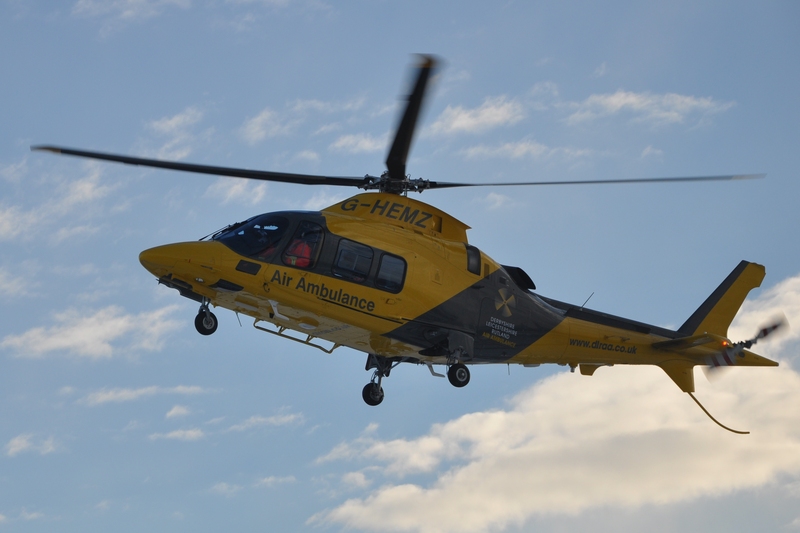 The Derbyshire and Rutland Air Ambulance also attended, landing in the East Stand car park of the football club. A West Midlands Ambulance Service spokesman said: “Crews arrived to find a woman lying in the road and a car that had suffered significant damage in the collision. “The woman, who is believed to be in her 30s, remained conscious throughout but was treated for fractures to both legs, a pelvic injury and a minor head injury. “Once crews had stabilised her condition she was immobilised and given pain relief at the scene before being taken to Queen Elizabeth Hospital, Birmingham by land ambulance. Friday 15th July 2016 – 4.30pm – Claire Brown. 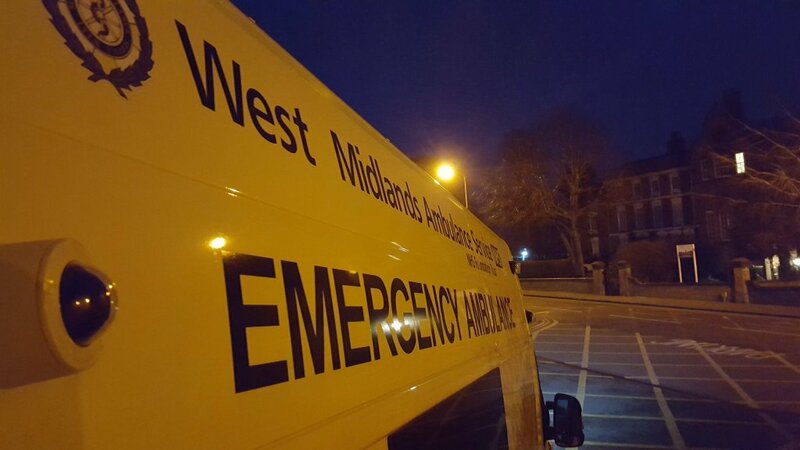 A pedestrian has sustained serious injuries in Wolverhampton this afternoon. West Midlands Ambulance Service received a 999 call to Bourne Street in Bilston at 1.00pm to reports of an elderly woman who had been involved in a collision with a reversing car. An ambulance and a paramedic and MERIT trauma doctor from the Midlands Air Ambulance, based at Cosford, responded to the scene by car. A West Midlands Ambulance Service spokeswoman said: “The woman, believed to be in her 80s, was conscious and breathing but had sustained multiple serious injuries in the collision. Friday 15th July 2016 – 9.00am – Claire Brown. A single motorcycle collision last night in Shropshire saw a man receive pre-hospital care by a team of ambulance staff and medics. An off duty doctor stopped to render aid to the injured motorcyclist together with passers-by until West Midlands Ambulance Service arrived after receiving the 999 call just after 7.00pm to the junction of the A41 and Bletchley Road, Bletchley, Market Drayton. The Midlands Air Ambulance from Tatenhill landed at the scene joining a critical care paramedic and MERIT trauma doctor from Cosfords Midlands Air Ambulance who responded by car. Two ambulances, a paramedic area support officer and a second MERIT trauma doctor were also sent. A West Midlands Ambulance Service spokeswoman said: “When ambulance staff arrived they found a motorcyclist, a man in his 50s, being given excellent first aid by an off duty doctor and members of the public. “It was quickly evident that the man had sustained very serious injuries which required advanced trauma care at the roadside in order to stabilise his condition. Friday 15th July 2016 – 8.20am – Murray MacGregor. 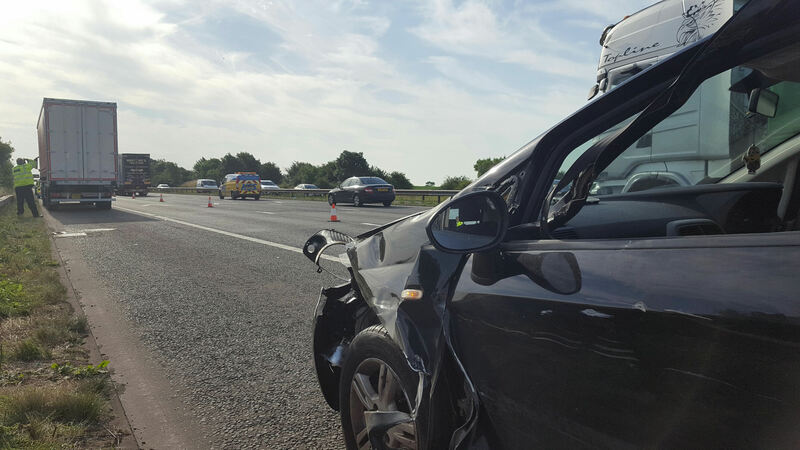 A motorcyclist has suffered multiple injuries after a crash on the M5 motorway yesterday. The incident happened at about 3.35pm on Thursday afternoon on the southbound carriageway between junctions 2 and 3, but both carriageways were closed to allow emergency services to work safely at the scene. The first help on scene were four members from St John Ambulance who were on a driver training course and came across the incident. They stopped to offer assistance and helped the staff from West Midlands Ambulance Service at the scene. In total, an ambulance, a rapid response vehicle, a paramedic area support officer and the Midlands Air Ambulance from Cosford with a trauma doctor on board were sent to the scene. A West Midlands Ambulance Service spokesman said: “On arrival, ambulance staff found a motorcyclist, a man in his 50s, in the central reservation. “He had suffered multiple serious injuries. Given his position and level of injuries crews had to use extreme caution to safely extricate him. Wednesday 13th July 2016 – 5.15pm – Claire Brown. A farm in Solihull, which supports people with mental health difficulties, dementia and learning disabilities, is the latest location to benefit from a defibrillator. Newlands Bishop Farm, part of Family Care Trust – a local charity based in Solihull – provides unique working experiences in horticulture, woodwork, gardening and other areas for people with learning disabilities and mental health problems. The farm contacted the Trust recently to enquire about getting a defibrillator on site. Pic caption – Andy Jeynes (WMAS) hands over the defibrillator to staff at Newlands bishop Farm. Wednesday 13th July 2016 – 11.10am – Murray MacGregor. A crash involving two vehicles and a pedestrian saw nine patients assessed and left one man in a critical condition. It happened at the junction of Tennant Street and Bishopsgate Street in the middle of Birmingham at just before midnight on Tuesday evening. The Trust received no fewer than five 999 emergency calls about the incident. Two ambulances, a paramedic area support officer, the MERIT trauma doctor and the Hazardous Area Response Team were sent to the scene. A West Midlands Ambulance Service spokesman said: “On arrival, crews found two vehicles that had been in collision. One of them had ended up trapping a pedestrian between the vehicle and a wall. “The 34 year old man was released from where he was trapped but had suffered life threatening injuries. He was taken on blue lights to the Major Trauma Centre at the Queen Elizabeth Hospital Birmingham with multiple injuries. He was in a critical but stable condition. “The man in the car suffered a serious hand injury. He too was taken to the Queen Elizabeth Hospital. “There were seven people in the other vehicle. Of those five were assessed and discharged at the scene. Tuesday 12th July 2016 – 6.30pm – Jamie Arrowsmith. A car driver has died following a road traffic collision this afternoon. West Midlands Ambulance Service was called to reports of a collision between a car and a lamppost at the junction of Bridle Lane and Chester Road in Streetly, Birmingham shortly before 3.10pm and sent an ambulance and a paramedic area support officer to the scene. “An off duty nurse and the fire service had already started giving the man CPR before ambulance staff took over. “They administered advanced life support and continued treatment en-route to the hospital, with two firefighters also travelling on the ambulance to offer further assistance. Monday 11th July 2016 – 11.05am – Jamie Arrowsmith. A man has died after his car collided with a stationary lorry yesterday morning (Sunday). 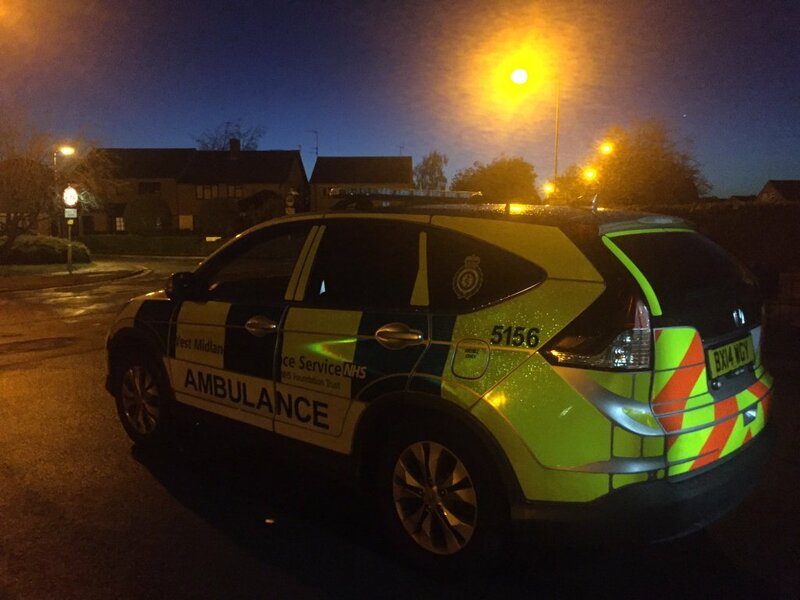 West Midlands Ambulance Service was called to Watling Street, near to the Nightowl Truckstop in Clifton Upon Dunsmore, at 5.35am and sent an ambulance, a community paramedic in a rapid response vehicle and a paramedic area support officer to the scene. Monday 11th July 2016 – 10.35am – Murray MacGregor. A man has been airlifted with multiple injuries after he was hit by a train as he crossed a railway line. The incident happened in Shropshire between Craven Arms and Ludlow. An ambulance, a paramedic area support officer and the Midlands Air Ambulance from Cosford with a trauma doctor on board were sent to the scene. A West Midlands Ambulance Service spokesman said: “The man, who was in his 40’s, was using a dirt track that crosses the railway line about three miles south of Craven Arms. 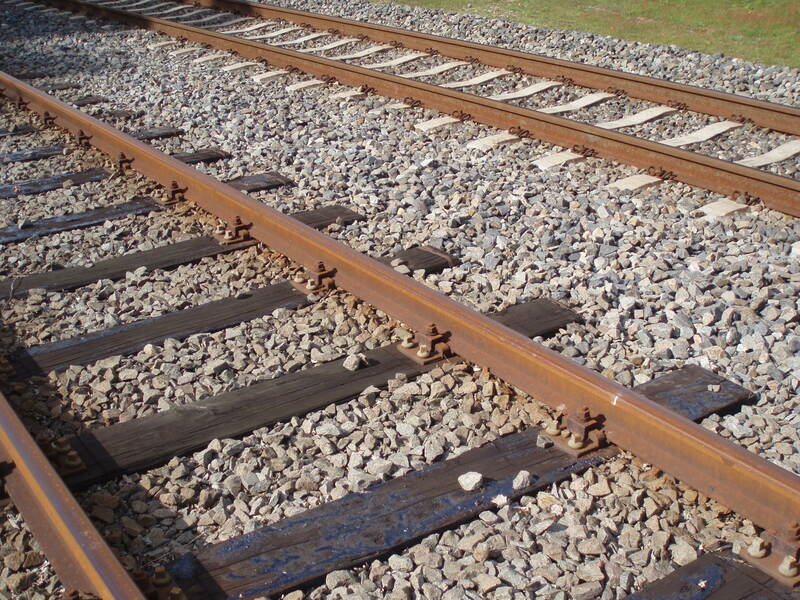 “He was found at the side of the railway line with multiple injuries but fully conscious. The train had not stopped. 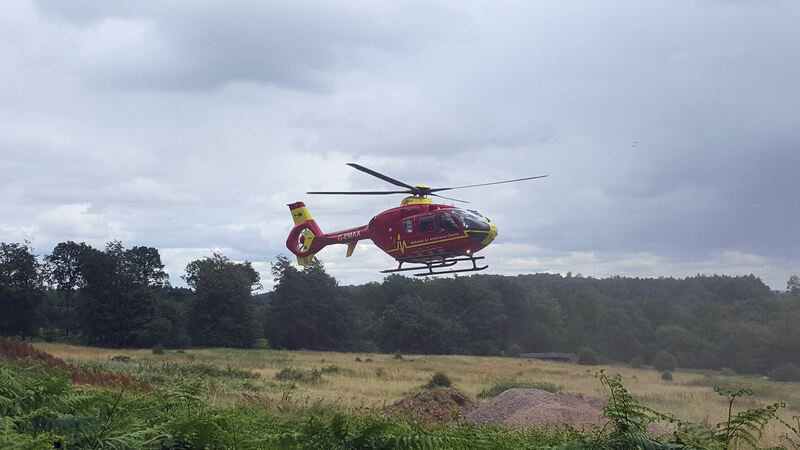 “He was treated at the scene by ambulance staff and the doctor before being airlifted to the major trauma centre at Queen Elizabeth Hospital Birmingham. Friday 8th July 2016 – 3.35pm – Jamie Arrowsmith. It has been a week like no other for a group of students from throughout the region as they have experienced what it is like to work for the ambulance service. Ranging from school years ten to 12, youngsters from schools in Staffordshire, the Black Country and Birmingham have spent the week at Dudley Hub as part of the Trust’s work experience programme. The 12-strong group met a range of operational staff, including paramedics from the Trust’s Hazardous Area Response Team (HART) and motorbike paramedic Mark Hayes to find out more about their roles and responsibilities. This included how 999 calls are handled, basic life support, how to use a defibrillator, what causes a cardiac arrest and the work of community first responders amongst much more. They also got to explore the back of an ambulance and sample some of the various equipment staff use on a daily basis to treat patients. Diane Pittom, the Trust’s Organisational Development Officer, said: “It has been a really enjoyable week and we have been pleased to host another group of very keen students. One of the students, Tom Partridge, who attends Summerhill Secondary School in Kingswinford, said: “It has been a really interesting week and I’ve gained lots of information about what the ambulance service does. “Being a paramedic wasn’t something I had thought about doing before, even though my dad is already one, but now it is something I would be really interested in. If used please credit the image to West Midlands Ambulance Service. Pictured (left to right) with Aaliya Mohamed (Aston Manor Academy), Tom Partridge (Summerhill Secondary School, Kingswinford), Sally Hale (High Arcal School, Dudley), Stephen Sault (Thorns School, Quarry Bank), Cerys Harris (Smith’s Wood Sports College, Solihull), Amiee Mansell (High Arcal School, Dudley), Mark Hayes (WMAS), Oliver Leach (Bournville School and Sixth Form Centre), Callum Burkitt (Health Futures UTC, West Bromwich), Liam Brittle (Health Futures UTC, West Bromwich), Megan Canning (Health Futures UTC, West Bromwich), Laura McCann (Wolgarston High School, Penkridge), Erin Roache (St Peters RC School, Solihull), Diane Pittom (WMAS). Friday 8th July 2016 – 12.30pm – Jamie Arrowsmith. A road traffic collision involving two cars, a lamppost and a stationary ambulance thankfully left the patients uninjured this morning, but it was a different story for the ambulance involved. Crews were at the scene of a car that had crashed into a lamppost and ended up in a hedge. They were treating the driver, a man, on the back of the ambulance, when a second car collided with it. 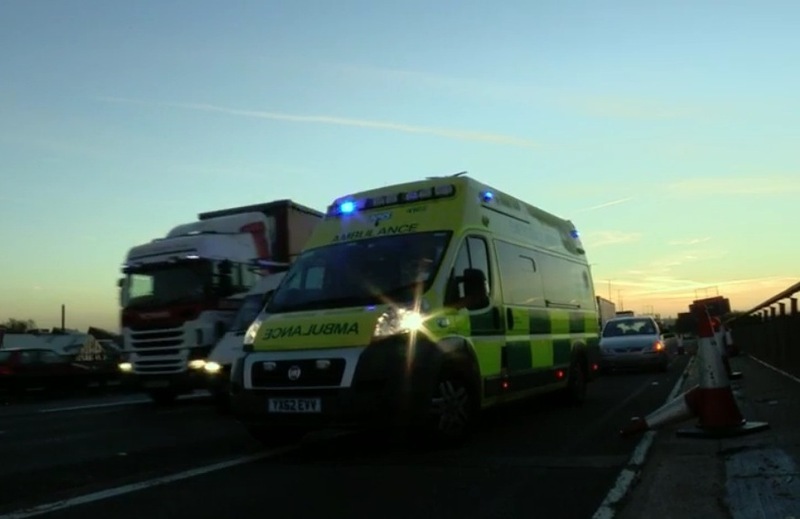 West Midlands Ambulance Service was called to the junction of Stonebridge Highway and the A45 in Coventry at 7.25am this morning and sent an ambulance and a paramedic area support officer to the scene. A West Midlands Ambulance Service spokesman said: “Responding to the initial incident, ambulance staff arrived to find a car that hit a lamppost and come to rest in a hedge. “The driver of the car, a man in his 30s, was being assessed on the back of the ambulance when the second collision occurred. “Thankfully, the original driver was uninjured and together with the two members of staff assessing him, remained uninjured in the second collision. “Fortunately for the driver of the second car, a man thought to be in his 50s, he too escaped injury in the incident. Friday 8th July 2016 – 10.35am – Jamie Arrowsmith. A man has been cut free through the roof of his car and is one of three patients requiring treatment from ambulance crews following a two-vehicle collision this morning. 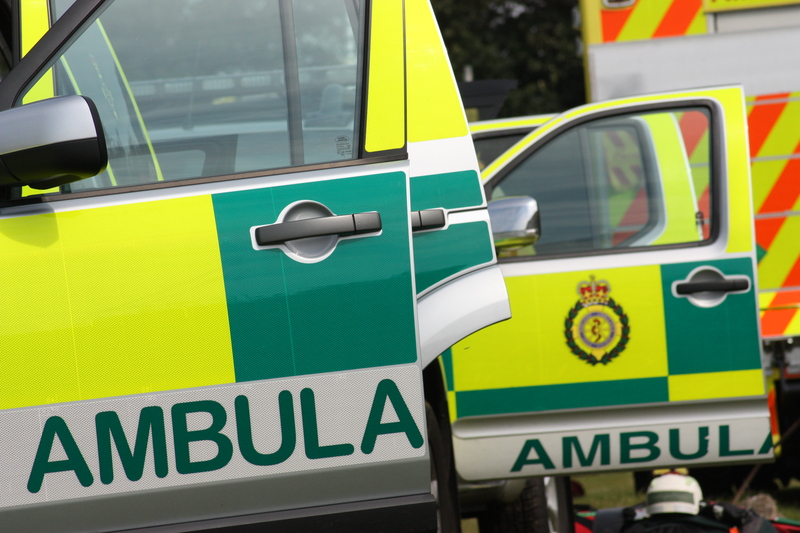 West Midlands Ambulance Service was called to the B439, near to where the Evesham Road and Stratford Road combine, in Bidford-on-Avon, at 6.35am. Two ambulances and a community paramedic in a rapid response vehicle were sent to the scene. A West Midlands Ambulance Service spokesman said: “On arrival, crews discovered two cars that had both suffered significant damage in the collision. “The driver of one of the cars, a man believed to be in his 20s, was trapped as a result of the damage suffered by his vehicle. “After ambulance staff had assessed him, they worked closely with the fire service to free him. Once the roof and door had been cut away from the car, a specialist extrication device was used to safely get him out. “He was treated for a fractured arm and a back injury as well as cuts to his face. “Pain relief was administered at the scene and the man was immobilised before being taken to Worcester Royal Hospital. “There were two women travelling in the second car. “The driver, a woman believed to be in her 30s, was treated for abdominal and back pain whilst the second woman was treated for minor injuries. Thursday 7th July 2016 – 1.15pm – Murray MacGregor. Five workers have died after a wall collapsed on top of them. The tragic incident happened at Hawkswood Metal Recycling in Aston Church Road in the Nechells area of Birmingham at about 8.30am this morning, Thursday. Wednesday 6th July 2016 – 5.10pm – Jamie Arrowsmith. A man has been airlifted to hospital after a van collapsed on top of him, leaving him trapped for about five minutes this afternoon. West Midlands Ambulance Service was called to a property in Anslow in Burton-on-Trent, near to the B5017 shortly after 12.20pm and sent an ambulance and the Midlands Air Ambulance from Staffordshire to the scene. A West Midlands Ambulance Service spokesman said: “On arrival, crews were told the van had fallen on to the man from approximately two feet and as a result he was trapped for five minutes until it was jacked up again. “He remained conscious throughout and received treatment for injuries to his head, shoulder and knees as well as chest pain. “Crews gave him pain relief at the scene and immobilised him with the use of a scoop stretcher and neck collar before carefully moving him to the air ambulance, which had landed in a nearby field. “The man, who is thought to be in his 40s, was then flown to Royal Stoke University Hospital. Wednesday 6th July 2016 – 2.25pm – Jamie Arrowsmith. A woman and a toddler have been seriously injured following a collision with a car this afternoon. West Midlands Ambulance Service was called to the junction of Chester Road and Sycamore Road in Erdington, at 12.05pm and sent two ambulances, a paramedic area support officer, two doctors and the Midlands Air Ambulance from Cosford to the scene. 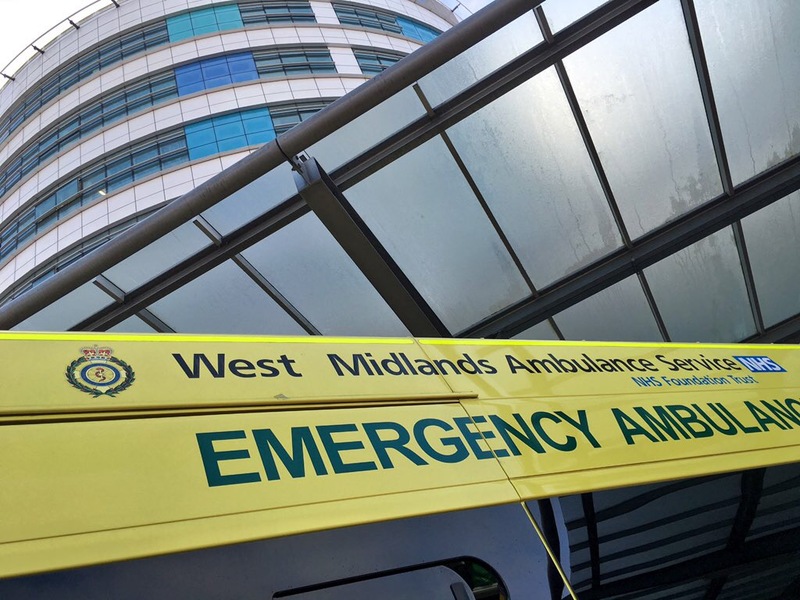 A West Midlands Ambulance Service spokesman said: “Crews arrived to discover two patients who had been seriously injured in collision with a car. “A young girl was already receiving treatment from an off duty student nurse when ambulance staff arrived. “She was treated for a number of serious injuries and received advanced trauma care at the scene. She was immobilised and transported to Birmingham Children’s Hospital by land ambulance. A doctor travelled with the child to continue treatment en-route to the hospital, which had been alerted to her condition prior to arrival. “Unfortunately her injuries are thought to be extremely serious. Tuesday 5th July 2016 – 9.20am – Murray MacGregor. A teenage cyclist has been airlifted to a paediatric major trauma centre after being anaesthetised at the scene of a crash involving a car. The incident happened on Nuneaton Road between Over Whitacre and Church End in Warwickshire at just before 8.15pm on Monday evening. An ambulance was first on scene and immediately requested an air ambulance due to the serious nature of the injuries to the boy. An off duty community first responder also came across the incident and stopped to offer assistance. A West Midlands Ambulance Service spokesman said: “On arrival, ambulance staff found the 15 year old in the road and a car in a bush. “The teenager had suffered a number of injuries and was semi-conscious. The doctor from the Warwickshire and Northamptonshire Air Ambulance anaesthetised him at the scene before he was airlifted to Birmingham Children’s Hospital. Monday 4th July 2016 – 4.15pm – Claire Brown. Ambulance staff are calling on the public to show their disgust at people who abuse them after another sickening weekend of violence and aggression. 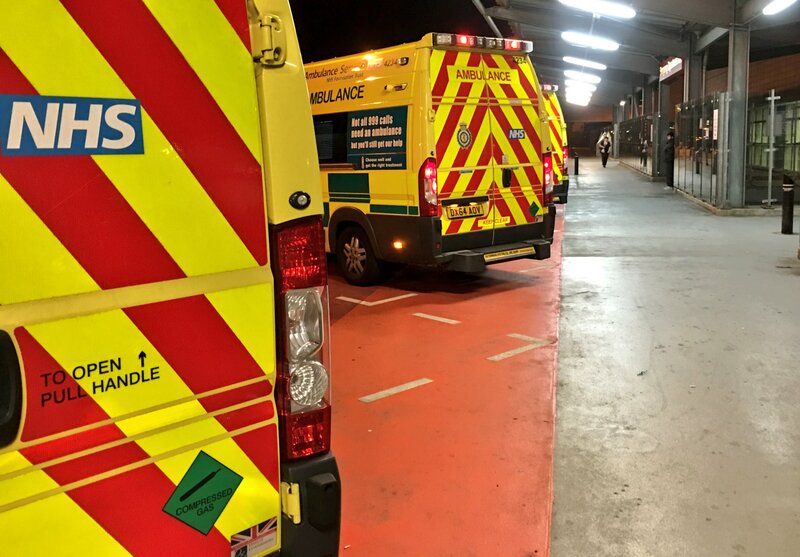 On Friday night, ambulance staff on duty at the Trust’s City Centre Treatment Unit (CCTU) on Broad Street in Birmingham bore the brunt of the abuse. Paramedic Mike Duggan, who runs the CCTU each weekend to help reduce A&E attendance by treating patients on site, was subjected to not one but three instances of verbal abuse. Meanwhile, elsewhere in Birmingham a female student paramedic was punched in the arm by a heavily intoxicated woman. The woman was restrained by police and was arrested along with her partner who threatened to kill our staff. Elsewhere in the Region on Friday, an ambulance technician was assaulted by a patient in Cannock causing bruises and scratches. The patient was arrested by police, restrained and taken to hospital. Steve Elliker, West Midlands Ambulance Service’s Head of Security and Safety added: “This weekend alone I’ve received 10 reports from staff of them being abused whilst at work; 5 were actual physical assaults and another 5 verbal abuse. It is sickening to hear that our staff endure abuse by the very people they are trying to help. Three people have been taken to hospital after a taxi collided with pedestrians and a lamppost this afternoon. West Midlands Ambulance Service was called to Hollyfast Road in Coventry shortly after 3.05pm and sent three ambulances and a paramedic area support officer to the scene. A West Midlands Ambulance Service spokesman said: “Crews arrived to find four patients, three children and a taxi driver. “One of the children, a young boy, was lying on the ground with a dislodged lamppost above him, thankfully having fallen into some trees which were stopping it from falling on to the child. “One of the boys was treated for back pain and immobilised whilst the other was treated for an ankle injury. Both were taken to University Hospital Coventry and Warwickshire. “The third boy was discharged on scene after being treated for an elbow injury. “The taxi driver, a man believed to be in his 40s, was treated for a head injury, immobilised and taken to University Hospital Coventry and Warwickshire. Two occupants of a car have died following a collision with a lorry this morning. West Midlands Ambulance Service was called to the A49 near to Bayston Hill, Shrewsbury, just before 10.50am and sent two ambulances, a paramedic area support officer and the Midlands Air Ambulance from Cosford to the scene. A West Midlands Ambulance Service spokesman said: “Crews arrived to find a car that had suffered significant damage in the collision with a man and woman inside, both in cardiac arrest. “Bystanders were already carrying out CPR which ambulance staff took over. “However, despite the best efforts of everyone concerned, it sadly became apparent that nothing could be done to save either patient and they were confirmed dead at the scene. 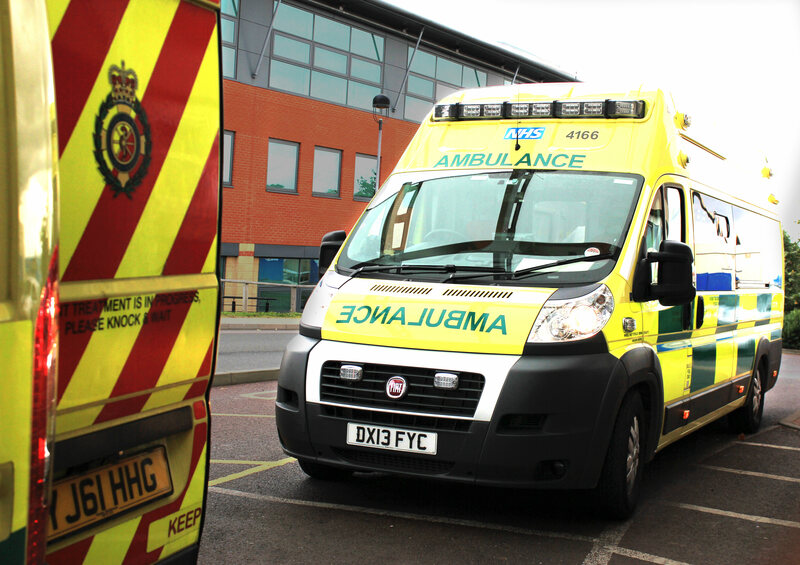 Following a robust competitive tendering process and evaluation, West Midlands Ambulance Service (WMAS) won the tender to provide the non-emergency patient transport services in Cheshire, Warrington and Wirral from today (Friday). WMAS is not new to offering non-emergency patient transport service, currently holding ten other contracts and today they launch their service for the people of Cheshire, Warrington and Wirral. NHS Blackpool Clinical Commissioning Group (BCCG), lead ambulance commissioners for the North West, awarded WMAS the contract in December, on behalf of the Cheshire, Warrington and Wirral Clinical Commissioning Groups (CCGs), and since then WMAS has been busy planning and putting in place a great deal of hard work to ensure a smooth transition from the previous contract providers in the region, North West Ambulance Service. WMAS anticipates it will complete in excess of 240,000 patient journeys a year in Cheshire, Warrington and Wirral and they will be based in Ellesmere Port, Warrington and Crewe. WMAS Commercial Services Director, Mark Gough, said: “Since being awarded the contract, we have put a very strong team in place with vast experience to oversee the transition from the current transport providers. “An incredible amount of hard work has already been put in to make sure we are ready and we will continue to work hard to ensure we provide the best service possible to patients. “We currently hold contracts that will see the Trust complete more than one million non-emergency patient journeys this year. Brand new purpose built vehicles have been invested in, along with recruitment of additional staff. Local CCG Lead Jim Britt explains: “Having been involved with the procurement process throughout, I can honestly say that WMAS have behaved in a highly professional manner, which gives me the confidence to say that patients in Cheshire, Warrington and Wirral will be given an excellent service. “My thanks to NWAS for helping to make the handover so smooth, as we look forward to a seamless transition. Handing over from one NHS provider to another is also cause for reassurance.